The 57th Annual Spring Gala featuring Governor Chris Christie! Our 57th Annual Spring Gala is scheduled for Thursday, June 6, 2019 at Chevy Chase Country Club in Wheeling. We are also pleased to announce that Governor Chris Christie will be our keynote speaker. Please tell your friends because it is sure to be a special evening. 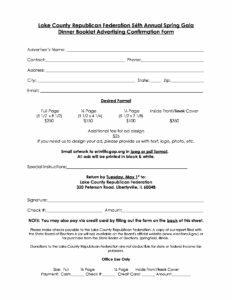 Advertise in the 57th Annual Spring Gala Program! Want to reach over 500 influential Republicans with only $100? Advertise in our Spring Gala program! 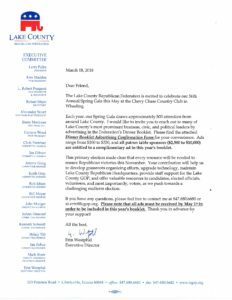 Our 56th Annual Spring Gala, the main fundraiser for the Lake County Republican Federation, will be held this May, so have your organization displayed with our candidates, elected officials, and other VIPs, while supporting the Republican slate in the upcoming general election. 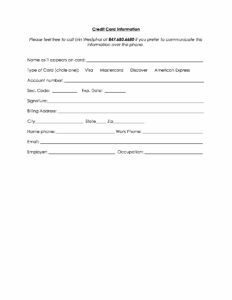 Click here to download the forms, or contact our office with any questions! Thank you for your support! Four of the 14 Lake County Board members and one of the four countywide incumbents up for election in 2018 remained without challengers Monday, which was the last day established-party candidates could file the paperwork and signatures necessary to appear on their party’s March primary ballot. Independent candidates and those seeking to represent newly established parties don’t file paperwork until the spring. To read more from the Lake County News Sun, click here. Why do the media in general only print or show negative stories about Republicans? On a recent Friday evening, the Lake County Republican Federation gathered at Conway Farms Golf Club to celebrate and honor Lake County women Republican leaders. However, the event was ignored by the media. The decidedly newsworthy evening featured many women Republican political leaders, past and present, including former Comptroller (and current deputy governor) Leslie Munger, county board members Ann Maine and Carol Calabresa, state representative candidates County Clerk Carla Wyckoff, Superintendent of Schools Roycealee Wood, state representative candidates and numerous judges. The evening began with the presentation of the Federation’s rare Lifetime Achievement Award to trailblazer Corinne Wood, who served as Illinois’ first female lieutenant governor. The award was presented to her by current lieutenant governor Evelyn Sanguinetti, who happens to be the first Latino female lieutenant governor in the nation. It was all capped off by a keynote presentation by our Republican candidate for Attorney General, Erika Harold, who is an African-American female. Why is it, then, that this event received not even the slightest mention in the press? When the media eagerly run stories promoting the Republicans’ so-called “War on Women,” and someone like former first lady Michelle Obama makes national headlines when she characterized the Republicans as the party of “gray and white” men, it surely sets up the newsworthy counter-narrative: the diversity found in the Republican Party is at best overlooked, and too often totally ignored. The lack of coverage of our event honoring strong female Republican leaders is especially glaring in light of the frenzied media coverage of a few weeks ago for the Lake County Republican Central Committee’s Second Amendment dinner. Where is the media when the Republicans attempt to showcase our diversity and fabulous women leaders and trailblazers? Sadly, nowhere, it seems. To comment on or share our President’s letter to the Daily Herald, click here. Last Friday, the Lake County Republican Federation celebrated over 50 past, current, and future women Republican leaders with a reception at Conway Farms Golf Club in Lake Forest. The evening featured many women Republican political leaders, past and present, including former Comptroller (and current Deputy Governor) Leslie Munger, county board members Ann Maine and Carol Calabresa, state representative candidates such as Cindy Masover (58th Dist.) and Karen Feldman (59th Dist. ), County Clerk Carla Wyckoff, Superintendent of Schools Roycealee Wood, numerous judges including Christy Bishop, and many others. The evening began with the presentation of the Federation’s rare Lifetime Achievement Award to trailblazer Corinne Wood, who served as Illinois’ first female Lieutenant Governor. 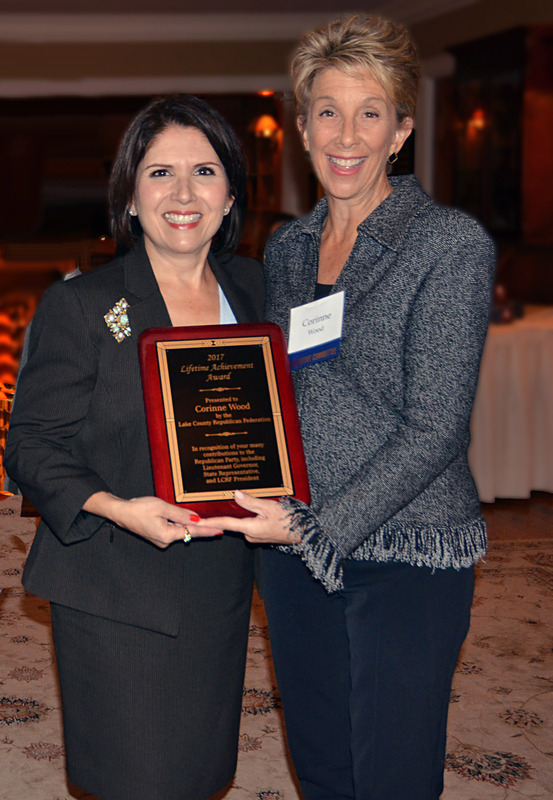 The award was presented to her by current Lieutenant Governor Evelyn Sanguinetti, who happens to be the first Latino female lieutenant governor in the nation. It was all capped off by a keynote presentation by our Republican candidate for Attorney General, Erika Harold, who is an African-American female. The goal of the event is to raise the funds necessary for a successful 2018 election campaign. Proceeds will be used towards grassroots organizing efforts, upgrading technology, maintaining Lake County Republican Headquarters, and providing staff support for the Lake County GOP. The Lake County Republican Federation has provided service to Republicans for over fifty years. To learn more about how you can contribute with your time, talent, or treasure, visit www.lcgop.org or call Erin Westphal at (847) 680-6680.